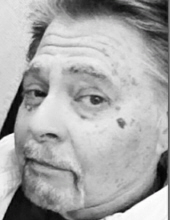 Daniel J. Rizzo, 66 years, of Whitehall, formerly of Brooklyn, NY, passed away peacefully on Friday March 8, 2019 at Lehigh Valley Hospice. He was the husband of Debra (Flores) Rizzo, with whom he would have celebrated 40 years of marriage in September. Born in Brooklyn, he was the son of the late Thomas and Carmen (Maya) Rizzo. Daniel was employed as a mail carrier for 32 years before retiring. He was a Navy veteran of the Vietnam War. He enjoyed fishing, camping, hiking, and watching movies. He loved music and playing his guitar and had a vast collection that will be cherished by his family. Surviving with his wife Debra are daughters Christina, wife of Gregory Mitchell, and Danielle Rizzo, a son Joshua Rizzo, a sister Maria, wife of Pete Wilson, 2 grandsons Odin and Quintin Mitchell, 2 nieces Diana, wife of William Shivers and Alyssa Rivera, and a great niece Amelia. Services will be private. Brubaker Funeral Home Inc. 327 Chestnut St. Coplay, PA 18037, is handling arrangements. To plant a tree in memory of Daniel J. Rizzo, please visit our Tribute Store. "Email Address" would like to share the life celebration of Daniel J. Rizzo. Click on the "link" to go to share a favorite memory or leave a condolence message for the family.